At this year’s National Dementia Conference, one crucial theme is emerging – the importance of person-centred approaches to care. 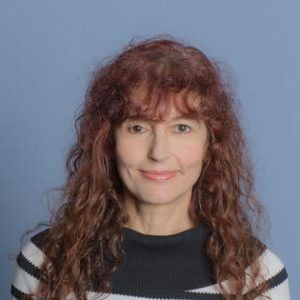 This week we speak to accredited pharmacist Professor Elizabeth Manias from Deakin University about the importance of medication safety and effective communication processes in the care of older people living with dementia. What is your current role and what does this entail? I am a Research Professor at the School of Nursing and Midwifery, and an Executive Member of the Centre for Quality and Patient Safety Research at Deakin University. As I am a registered nurse, a registered pharmacist, and a board certified geriatric pharmacist, I use these attributes in my teaching, research and practice. In my current role, I conduct research on medication safety, medication-taking behaviours, communication processes between health professionals, patients and family members, organisational and environmental aspects associated with patient safety, and consumer participation in care. In my work, I am particularly interested in older people because they often have complex health care needs and for many reasons, challenges exist in creating goals of care and treatment regimens for these individuals that involve a person-centred approach. Since adverse events regularly occur as people move across transitions of care, I am interested in examining communication processes involving these movements in a variety of contexts. I am accredited to conduct medication management reviews, and I teach nurse practitioner students about quality and safety in medication management. What will you be speaking about at the National Dementia Conference this year? At the National Dementia Conference, I will be participating on a panel examining transitions of care between nursing home environment and acute care facilities for people living with dementia. In this panel, I aim to focus on the importance of effective communication across care facilities, such as the conduct of exemplary clinical handovers. I will also be participating on a second panel that will be discussing the use and abuse of medication for people living with dementia. In particular, the panel will explore the challenges with using chemical restraint in treating people living with dementia. Why is it important to discuss how we can improve transitions between Residential Aged Care Facilities and Acute Care Facilities in the care of people living with Dementia? Ineffective communication involving transitions of care is often identified as a major cause of adverse events. As people with dementia move between residential aged care facilities and acute care facilities, communication among health professional may be fragmented, and environmental challenges exist in managing people with rapidly-changing health care needs. Furthermore, treatment decisions may not be based on current, relevant and accurate information. There are also complexities in managing competing beliefs, values and preferences of people living with dementia and family members. What are you most looking forward to at the National Dementia Conference? I am very excited about participating in this year’s National Dementia Conference. I am looking forward to meeting health professionals from different disciplines who work in a range of settings, spanning from primary care, acute care, subacute care and residential aged care, as well as carers, policy makers, researchers and aged care workers. Listening to each other’s voices will create the impetus for generating change and developing strategies that work in improving the care of people with dementia. Elizabeth will be speaking at the National Dementia Conference on Tuesday 15th May on a panel discussion exploring how to improve transitions between residential aged care facilities and acute care facilities. She will also speak on a panel discussing medication management for people living with dementia.